No award show party is complete without some fun competition to the night at your own party. 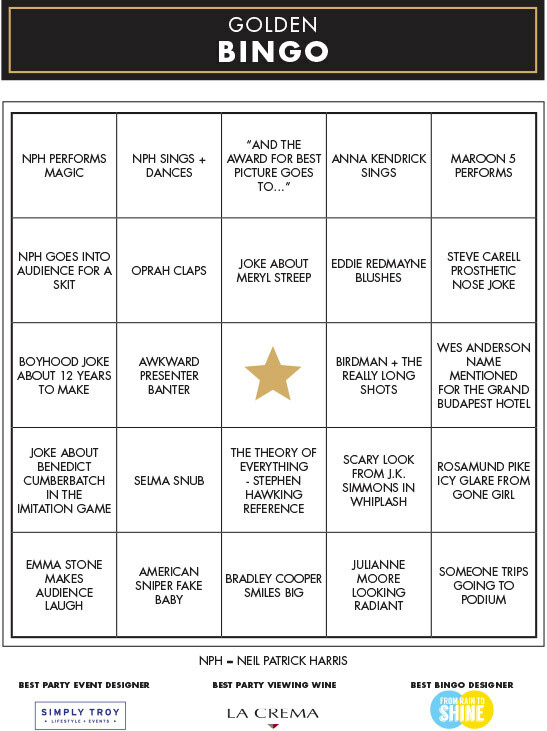 We have two printable games to keep things lively during the Motion Picture Academy’s biggest night of the year: A nominations ballot, and a special twist on bingo, Hollywood-style. Use our printable “AND THE AWARD GOES TO…” Nominations Ballot to keep track of each winner for every category that night. The highest score of correct category answers wins. Click the image below to download. Also, throw in our printable GOLDEN BINGO game to keep your guests engaged in the awards program and with one another. Always handy for a good laugh! Click the image below to download. 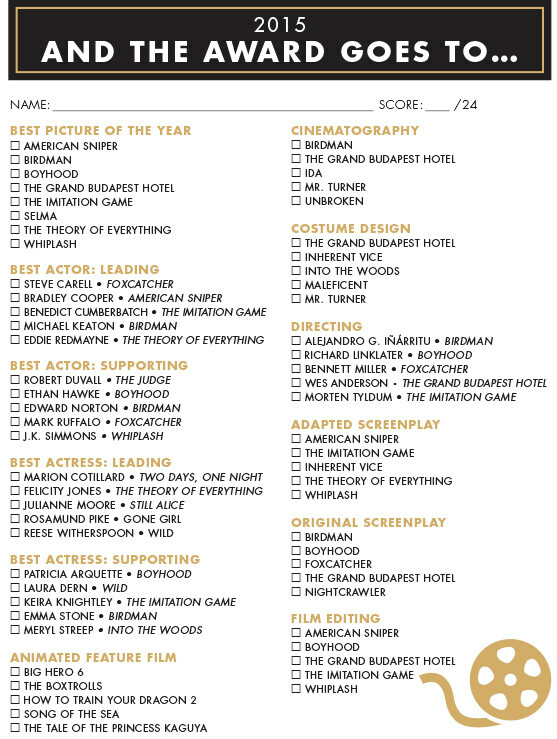 Click the image to download the movie award bingo ballot. 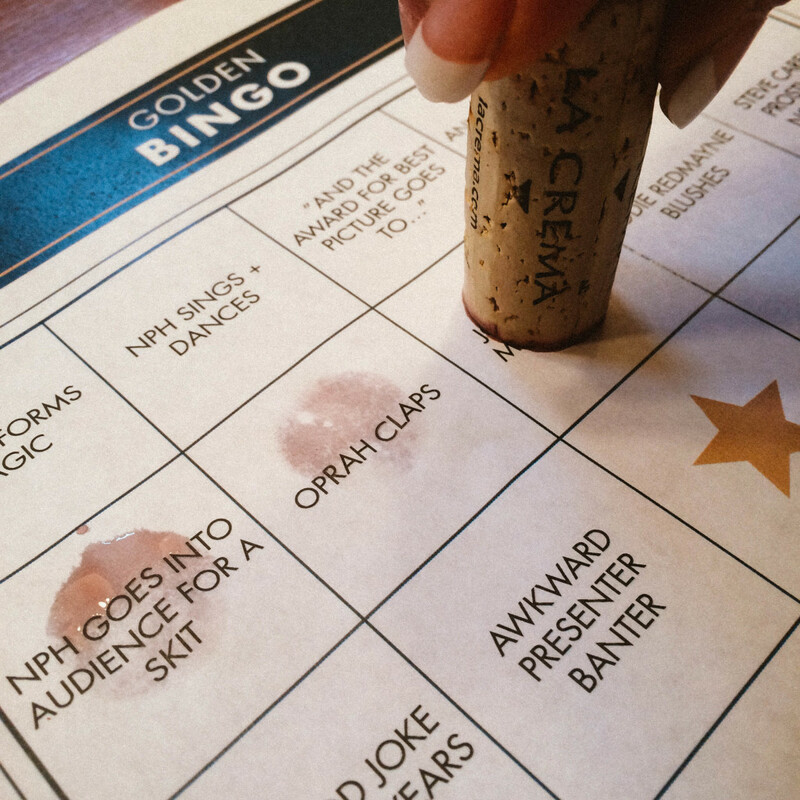 Pro tip: Mark off your bingo card with a wine stain using a cork. Have a great time celebrating in style with all of your guests and be sure to toast the winners with La Crema wines this Sunday night! And for the ultimate guide to creating a movie awards party that would make the Academy proud, here are seven tips to roll out the red carpet in style. The ultimate guide to make your Academy film-fete an award-winning affair!